The best zombie survival kit is probably going to be the one that you come up yourself. After all, no one knows your needs more than you do. That practically makes you the expert when it comes to your very own zombie survival kit. Here are some of the things that you can include in your very own zombie survival kit. Keep in mind that since this is your very own kit, you are free to add or remove items as you see fit. You are probably going to want to have the experts giving you advice about what to do. The Zombie Survival Guide is going to be your personal handbook about all things related to surviving a zombie plague. Make this one of the first items in your kit. 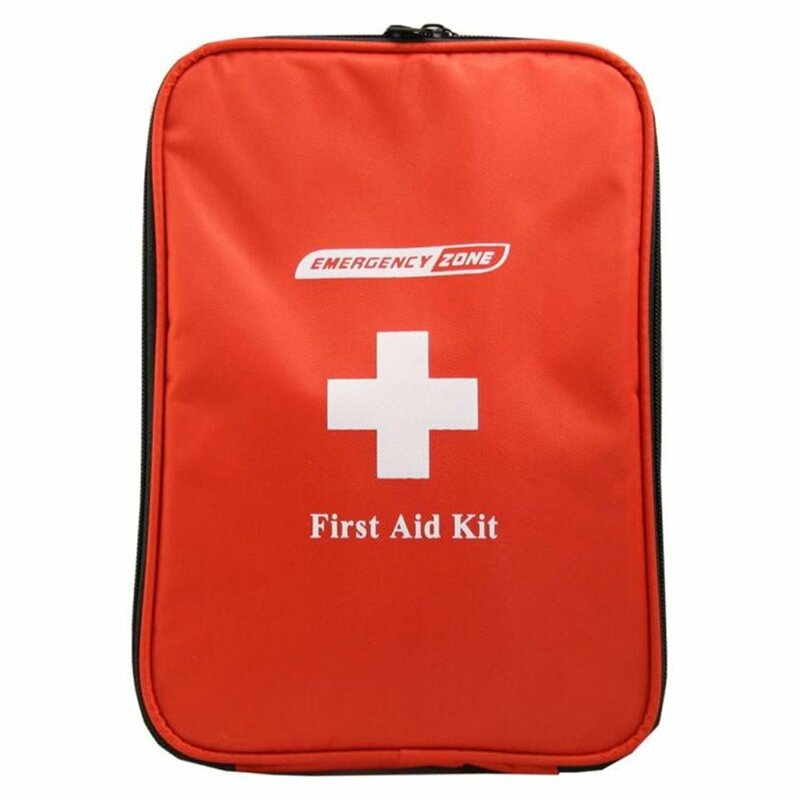 Clean and Dress Wounds as well as store medicine for headaches and the slight fever with the portable first aid kit. This is an important part of your zombie survival kit and will come in handy even when the zombies aren’t here yet. You might not have experienced the zombie apocalypse just yet, but you’ve seen what typhoons, earthquakes, car collisions and waiting too long for your bus can do to your stomach. Make sure that you eat on time, even during emergency situations with the Datrex 3600 Calorie Emergency Food Bar. You can’t always sleep under the starts, no matter how romantic that sounds. After all it might rain all of a sudden and you don’t want to have to spend the night wet and shivering in the cold. With the Emergency Thermal Blankets (4 Pack) and the reflective tent, you can stay warm and relaxed even during the rainy evenings. A sidekick is very hard to come by these days and they’re very useful during any situation, especially during the zombie apocalypse. Here’s a zombie apocalypse gift that you can give your Number 2: The Zombie Apocalypse Survival Kit in a Sardine Can. When they’re still too green to carry their own survival kits let alone their very own weapons, this sardine can will keep your sidekick alive and save their behinds during emergency situations. After your sidekick, the rest of your gang will be the ones you spend the most time with. That being said, there are some zombie apocalypse survival gifts that they too should be able to use during the apocalypse. Keep your gang combat ready with these zombie shooting targets. Whether they’re armed with a rifle, a BB gun, or a Zombie Killer Crossbow, these targets will show them who the enemy is and will teach them the areas to target. The apocalypse can be a very boring wasteland and keeping your gang entertained can be as labor intensive as keeping them alive. With the help of these playing cards though, keeping one of your gang to up to the whole lot of them will be a lot easier.